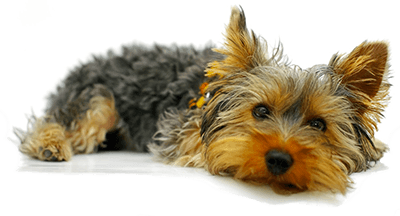 Best Dog Training Morristown NJ, Parsippany, West Orange. As far back as I can remember, I have always had a great affinity with animals of all kind. My childhood dogs were Heidi, a Dachshund and PeeWee, a Beagle they taught me so much about how loving and selfless animals can be. I was at my happiest when I was around animals. I was a "city slicker" growing up in the mid-west but my fondest memories as a child is the time that I spent visiting friends who owned and operated a dairy farm. I just Loved being around the animals, that was my passion. In the early 90's I started riding horses. After taking a riding class at Prospect Park in Brooklyn, NJ I became obsessed with them. During the next 8 or so years I owned three horses, Winston, an Appendix Quarter horse that had raced at Rio Doso New Mexico, an American Saddlebred named Bradley, and a Morgan named Limerick. I showed locally at school shows and at regional shows in New Jersey, Connecticut, and Pennsylvania, and almost always placed in the ribbons. But my real passion was for the training of horses, closely followed by dogs. I spent several years studying and applying horse training methods from classical dressage to "the cowboy way". I was particularly interested in the natural methods of training of John Lyons, Buck Brannaman, and my horse training hero, Pat Parelli. These trainers are the guys who put the phrase "Horse Whispering" on the map. "Dog whisperers" and "cat whisperers" followed on their heels. The idea of using the unique psychology of the animal and communicating in a natural way that is intuitive to the animal rather than to the human was very appealing to me. So I began following these methods with my horses and as it turned out, I was very good at it. As one Irish-American mentor of mine (who has horse blood running in his veins!) put it, "Steve, you have what we call "it" with horses." "You are a natural with animals". Because of my experience with horses and my love of dogs, it was only natural that I would seek out a similar approach to train my newly acquired Jack Russell puppy. My research led me to Bark Busters. The methods used by BB were very similar to those used by the horse guys, just tailored to the canine rather than equine mind. I was also searching at the time for a way to work with dogs full time, utilizing my unique talents with animals to help people with their unruly canines. 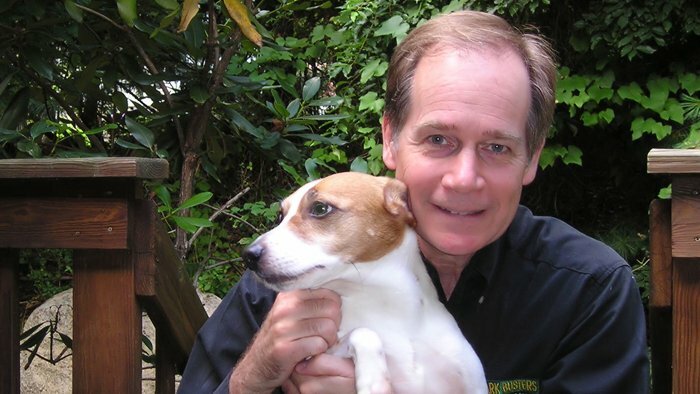 The Bark Busters method, developed in Australia some 40 years ago has the philosophy that was so in-tune with my own understanding about training animals, so I joined the company in 2003 as a behavioral therapist/trainer-since then I have trained hundreds of dogs and helped their owners to understand how to communicate with them in their own language. People say I'm the New Jersey Dog Whisperer but I think that I am more the 'canine communicator' able to help humans and dogs successfully communicate with each other.Many vets in recommend Bark Busters as they know we can get the results that dog owners need using our dog friendly, natural method and in the shortest possible time. Feature article in the New Jersey Star Ledger focusing on a case of Separation Anxiety that I successfully rehabilitated and after 2 or 3 other Behaviorists had given up. Ran a class for 2 years at a local shelter to teach volunteers to work with troubled dogs. My current pets are: Wally, my Jack Russell, Jetti, a mini-poodle that I rescued and helped with aggression, and Cody, a Cavalier King Charles, they help me to help dogs every day. "I cannot believe the immediate results we got! My daughter even asked me if we'd switched dogs!! We were on the road to putting Cooper to sleep; we'd lost hope. But after one visit with Steve, we knew that our dog could be trained and could become a loving member of our family. Thank you for saving my dog!!" --Laura G.
"In our opinion, the techniques that Bark Busters use are the best way for every dog. Our trainer, Steve Borgfield, is exceptional!!! The response he got from our dogs was amazing! I wish Steve could live with us." -- Kerri and Jason K.
"Steve was great! We have had a few trainers. No one did what he did in 2 hours!" -- Annette and Mike L.
"I was in total shock to see my dog working so well with Steve and listening to me in one session. ... Steve listened to our problem and showed me what to do and made sure I was doing it right before he left." -- Helen G.